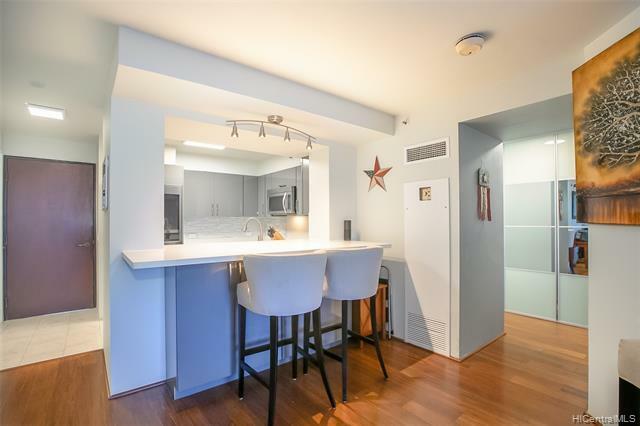 Pride of ownership shines in this beautifully renovated ocean view apartment. 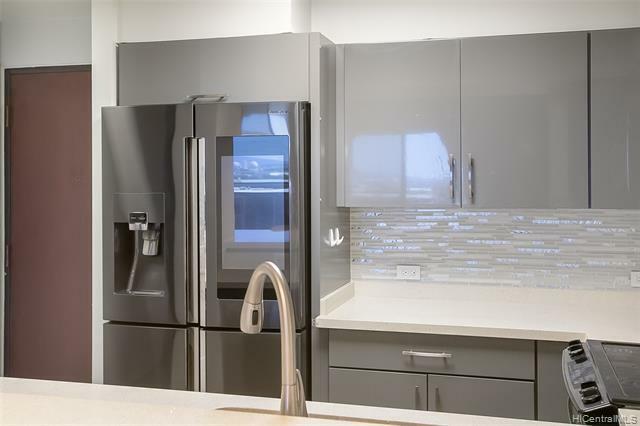 The kitchen features new cabinetry,quartz countertops and stainless steel appliances. The bath features a new sink, and tub with tile surround. 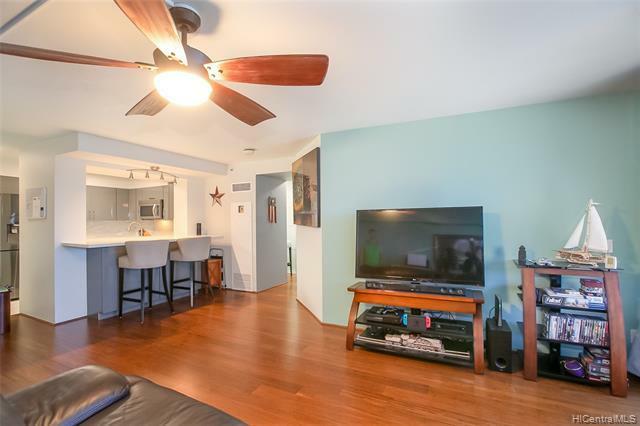 Thehome offers "Cappuccino" bamboo flooring, ceiling fans, closet organizers, washer/dryer, and a spacious outdoorpatio with a view of the ocean. 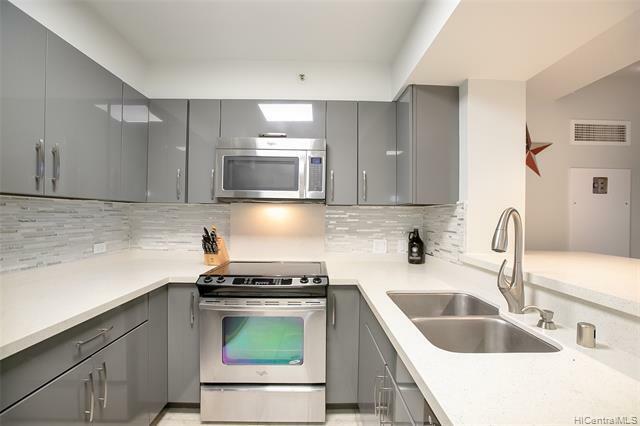 Conveniently located in Kakaako, with nearby shopping, dining and the waterfront.